Cold rolled steel is steel that has been formed at (or slightly above) room temperature. Since cold rolled steel forming is done when the steel is in a more rigid state, more pressure is required. Cold rolled steel possesses a high tensile strength, as well a high degree of hardness and smoothness in the finished surface. These characteristics of cold rolled steel improve its ability to be machined. Cold rolled steel has a matte finished appearance, which enables lubricants to remain effective during the cold rolled steel forming process. The formability and properties of cold rolled steel depend upon the grade and type of steel involved. 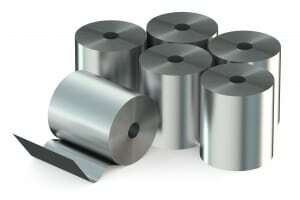 For cold rolled steel forming projects, Roller Die is equipped to offer you quality and value. We offer several grades and alloys of steel, so we can always select the best metallic properties for your specific end product. Contact us to discuss your project. We will select the steel type that is best for your unique roll forming project, at a price that fits your budget.